This is the start/finish map for 2018. 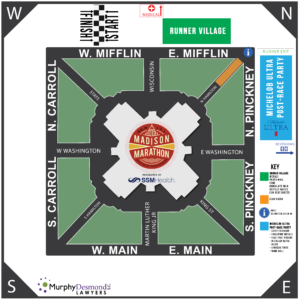 Expect 2019 to be a similar layout and a final map will be posted closer to Race Day. Post-race relax with friends and family on the beautiful state Capitol Park lawn while you enjoy the following!